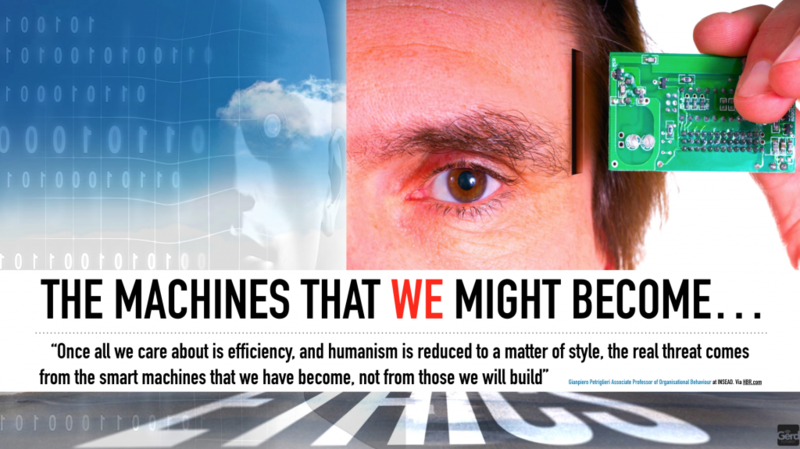 The real danger is that we become machines – not that machines will eliminate us! Gianpiero Petriglieri is Associate Professor of Organisational Behaviour at INSEAD, where he directs the Management Acceleration Programme, the school’s flagship executive programme for emerging leaders. He also has a Medical Doctorate and a specialisation in psychiatry. You can find him on Twitter @gpetriglieri.